12x National Champion Mike Steidley delivers a message like no other! A powerful message combined with a world renowned Stunt Show that is sure to educate, engage, and excite students. Steidley’s mission: Inspire students to stay positive and follow their passion. He relays the message of “obstacles of life” while negotiating his own ramps and obstacles. Mike Steidley offers a level of professionalism unmatched in his field, with over a decade of experience performing hundreds of shows and entertaining at special events. 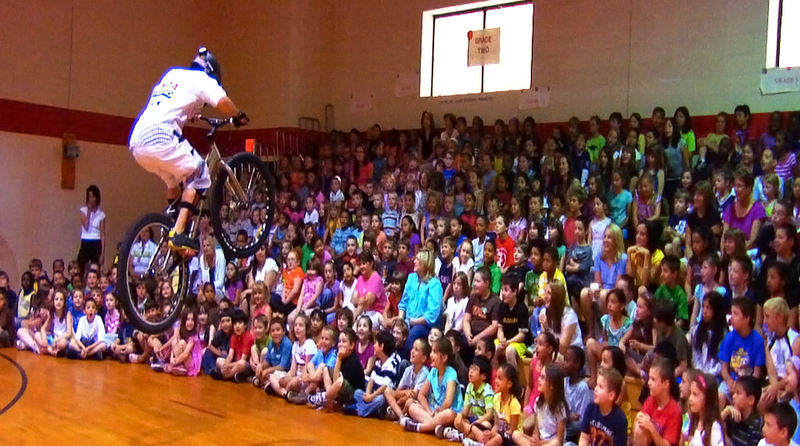 Using his stunt show as a medium Steidley is able to connect with students as he shares his experiences, on and off the bike, during his 40 minute school presentation.